Once a seer fasted in order to be blessed by the spirits. In time he was blessed by a Waterspirit, who gave him his body out of which to make a powerful medicine. From part of the body, this man made a liquid medicine called "To Tap the Head with." This he held in use for his own children. From the other parts of the Waterspirit, he made many evil medicines. These he took and hid in the corner of a perpendicular cliff. He made these evil medicines in order to become a Night Traveler. He thought that people would show him respect from the fear they had of his Waterspirit blessings. Another older seer knew of this. He even knew where the first seer had hidden his medicine bundles. One day he went to this hiding place and removed all of the other seer's medicine bundles. He took these to a grove of thick timber near the village where he lived and there he exercised his incredible powers. He thrust his hand right into the core of a tree, and into the hole he had made, he inserted the medicine bundles. Then he sealed the tree up. Such were the powers that he had been given by the spirits. Commentary. "a Night Traveler" — a name given to witches on account of their ability to fly about in the night. It was believed that it was during the concealment of darkness that they could best accomplish their covert acts of evil. Links: Witches, Waterspirits, Supernatural & Spiritual Power. Stories: about seers: The Seer, The Shawnee Prophet and His Ascension, Witches, The Shawnee Prophet — What He Told the Hočągara, A Prophecy, Great Walker and the Ojibwe Witches, The Claw Shooter, Waruką́ną, The Diving Contest; mentioning witches or warlocks: The Witch Men's Desert, The Thunder Charm, The Wild Rose, The Seer, Turtle and the Witches, Great Walker and the Ojibwe Witches, The Claw Shooter, Mijistéga’s Powwow Magic and How He Won the Trader's Store, Migistéga’s Magic, Mijistéga and the Sauks, Migistéga's Death, The Mesquaki Magician, Keramaniš’aka's Blessing, Battle of the Night Blessed Men and the Medicine Rite Men, The Magical Powers of Lincoln's Grandfather, The Hills of La Crosse, The Shawnee Prophet — What He Told the Hočągara (v. 2), Įčorúšika and His Brothers, Thunder Cloud Marries Again, Paint Medicine Origin Myth, The Woman's Scalp Medicine Bundle, Potato Magic, Young Rogue's Magic; about fasting blessings: Earthmaker Blesses Wagíšega (Wešgíšega), The Difficult Blessing, The Boy Who Became a Robin, The Boy who would be Immortal, The Woman Who Fought the Bear, The Girl who Refused a Blessing from the Wood Spirits, The Seer, The Woman who Loved Her Half-Brother, The Nightspirits Bless Jobenągiwįxka, Disease Giver Blesses Jobenągiwįxka, The Blessings of the Buffalo Spirits, The Boy who was Blessed by a Mountain Lion, Ghost Dance Origin Myth I, The Blessing of a Bear Clansman, Aračgéga's Blessings, The Meteor Spirit and the Origin of Wampum, Great Walker's Medicine, Buffalo Dance Origin Myth, Thunderbird and White Horse, The Man who was Blessed by the Sun, Holy Song, A Waterspirit Blesses Mąnį́xete’ų́ga, Paint Medicine Origin Myth, The Plant Blessing of Earth, The Blessing of Šokeboka, Heną́ga and Star Girl, The Sweetened Drink Song, Ancient Blessing; mentioning medicine bundles: Keramaniš’aka's Blessing, Paint Medicine Origin Myth, The Woman's Scalp Medicine Bundle, The Mesquaki Magician; pertaining to the Medicine Rite: The Medicine Rite Foundation Myth, The Journey to Spiritland, Holy Song, Holy Song II, Maize Origin Myth, The Necessity for Death, Hog's Adventures, Great Walker's Warpath. Stories from Jasper Blowsnake's account of the Medicine Rite (The Road of Life and Death) in notebook order: The Shell Anklets Origin Myth (v. 1), Keramaniš’aka's Blessing, The Woman's Scalp Medicine Bundle, The Blessing of Kerexųsaka, Historical Origins of the Medicine Rite, Hare Secures the Creation Lodge of the Medicine Rite, Lifting Up the Bear Heads, East Enters the Medicine Lodge (v. 1), The Creation of the World (v. 12), The Creation of Man (v. 8), Otter Comes to the Medicine Rite, The Journey to Spiritland (v. 4), East Enters the Medicine Lodge (v. 2), Testing the Slave, South Enters the Medicine Lodge (v. 2), The Descent of the Drum (v. 1), The Commandments of Earthmaker, The Coughing Up of the Black Hawks, The Animal Spirit Aids of the Medicine Rite, The Arrows of the Medicine Rite Men (v. 2), East Shakes the Messenger, The Medicine Rite Foundation Myth (v. 4), The Messengers of Hare (v. 2), North Shakes His Gourd, Grandmother's Gifts, South Seizes the Messenger, Four Steps of the Cougar, The Messengers of Hare (v. 1), The Island Weight Songs, The Petition to Earthmaker, A Snake Song Origin Myth, The Completion Song Origin, Great Walker's Medicine (v. 2), Great Walker and the Ojibwe Witches, The Diving Contest, The Sweetened Drink Song, The Plant Blessing of Earth, Tobacco Origin Myth (v. 3), The Claw Shooter, Tobacco Origin Myth (v. 4), Peace of Mind Regained, The Journey to Spiritland (v. 5), A Wife for Knowledge, The Shell Anklets Origin Myth (v. 2), The Descent of the Drum (v. 2), South Enters the Medicine Lodge (v. 1), Death Enters the World. 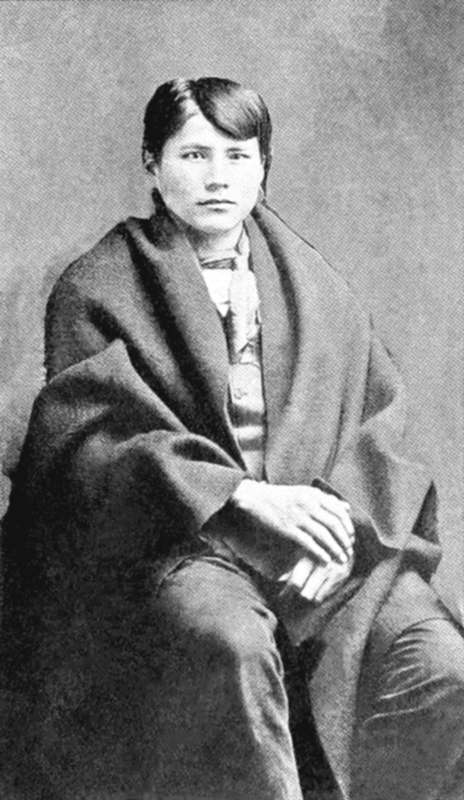 Themes: a person who fasts receives blessings from the spirits: The Blessings of the Buffalo Spirits, The Boy who was Blessed by a Mountain Lion, The Nightspirits Bless Jobenągiwįxka, Ghost Dance Origin Myth I, Redhorn's Sons, The Boy Who Became a Robin, The Woman Who Fought the Bear, The Seer, Maize Comes to the Hočągara, The Warbundle of the Eight Generations, The Woman who Loved Her Half-Brother, The Boy who would be Immortal, The Thunderbird, Lake Wąkšikhomįgra (Mendota): the Origin of Its Name, The Waterspirit Guardian of the Intaglio Mound, Great Walker's Medicine, Šųgepaga, Earthmaker Blesses Wagíšega (Wešgíšega), The Man Who Would Dream of Mą’ųna, Heną́ga and Star Girl, A Man's Revenge, Aračgéga's Blessings, The Blessing of a Bear Clansman, The Man who was Blessed by the Sun, The Girl who Refused a Blessing from the Wood Spirits, Buffalo Dance Origin Myth, The Man who Defied Disease Giver, White Thunder's Warpath, A Man and His Three Dogs, The Oak Tree and the Man Who was Blessed by the Heroka, A Waterspirit Blesses Mąnį́xete’ų́ga, The Meteor Spirit and the Origin of Wampum, The Diving Contest, The Plant Blessing of Earth, Holy Song, The Blessing of Šokeboka, The Completion Song Origin, Paint Medicine Origin Myth, The Nightspirits Bless Čiwoit’éhiga, Sunset Point, Song to Earthmaker, First Contact (v. 1), The Horse Spirit of Eagle Heights; someone is blessed with a medicine: The Stench-Earth Medicine Origin Myth, A Waterspirit Blesses Mąnį́xete’ų́ga, Fourth Universe, Great Walker's Medicine, Bow Meets Disease Giver, The Seven Maidens, The Blessings of the Buffalo Spirits, The Seer, The Healing Blessing, A Weed's Blessing, A Snake Song Origin Myth, Young Man Gambles Often, The Origins of the Sore Eye Dance, The Elk's Skull, Buffalo Dance Origin Myth, A Peyote Vision, The Sweetened Drink Song. a Waterspirit is killed and his body is used as medicine: A Waterspirit Blesses Mąnį́xete’ų́ga, Great Walker's Warpath, The Seer; two (groups of) holy men contest one another with supernatural power: The Claw Shooter, Battle of the Night Blessed Men and the Medicine Rite Men, Great Walker and the Ojibwe Witches. 1 Paul Radin, The Road of Life and Death: A Ritual Drama of the American Indians. Bollingen Series V (Princeton: Princeton University Press, 1973 ) 152-153.